Netturul Resources Sdn Bhd holds the exclusive sole distributorship of Cambridge Weight Plan in Malaysia, Singapore, Indonesia and Brunei. Cambridge Weight Plan formulation has been proven to be safe and effective for weight management and weight maintenance. Cambridge Weight Plan Consultants together with our “Platinum Standard” medical research are the global solution for the diabetes crisis. Cambridge Weight Plan makes use of specially formulated shakes, soups and bars to supply low calorie diet ranging from about 600 – 1500 calories per day. The products contain the necessary minerals, vitamins and trace elements to maintain balanced nutrition for weight loss and for weight maintenance. We are an exporter of premium quality surgical face masks. Our products are distributed in Europe, Singapore and Malaysia. We are also a direct importer of various types of disposable products and we specialize in providing disposable products to the medical hospitals and clinics, dental segment, beauty care service as well as for industrial use. For those who like to carry our products with their own brand, we do provide the service of doing OEM. Our products are marketed under our brand name UNIGLOVES®. 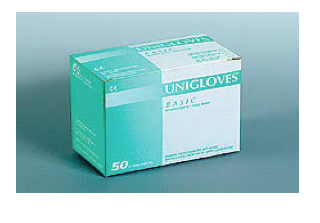 The UNIGLOVES® brand is well established and can be easily found in pharmacies around Malaysia. We have over 70 types of disposable products and we are expanding the range every year as we add on new products to meet the market disposable protection needs.